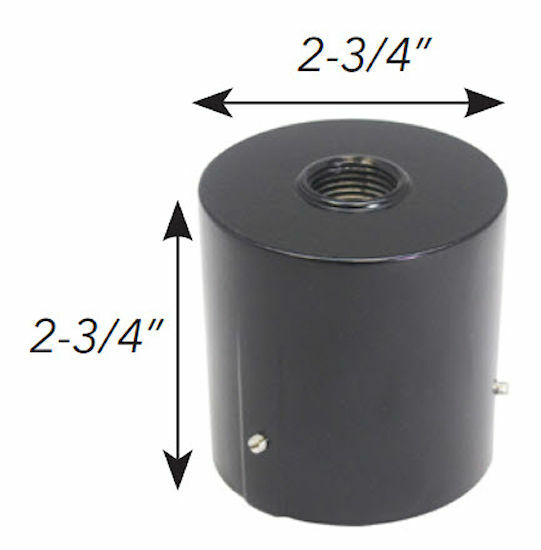 2 Inch slip fitter adapter with 1/2 NPT threaded hub that accepts knuckle mount light fixture. These have a bronze finish and is a pole accessory for mounting a light fixture at the pole top. It's made to last and creates a finished look for almost any pole lighting application. - 2 3/4" inch diameter and all stainless steel hardware included.